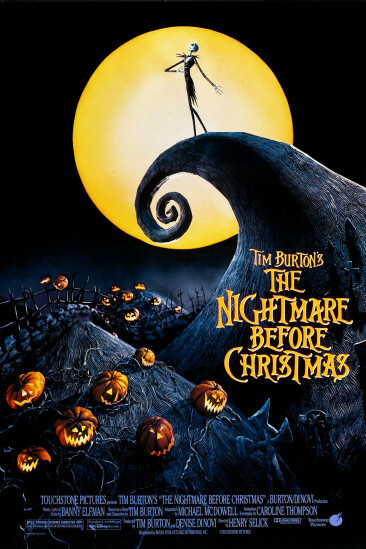 The Nightmare Before Christmas feels more like dark fantastical dream. A Christmas film disguised as a Halloween animation with the Easter Bunny tossed in for good measure. A holiday smorgasbord that is sure to frighten children with Burton's signature gothic aesthetics, whilst fill their tiny hearts with the pure magic of Christmas. A stop-motion animation that has stood the test of time. Pumpkin King Jack Skellington grows tired of the same scary routines every year. When he stumbles across a portal to "Christmas Town", his heart is filled with joy and decides to spread the Christmas cheer in his own town. What's this? What's this? It's a damn good Christmas film. What's this? It's also got catchy songs. What's this? I can't believe my eyes I must be dreaming this is so damn good why have I not seen this before!...What's this? As much as this is Burton and Selick's film, it is Elfman who reigns supreme. Not only did he compose the eerie score and write the memorable songs, he also provided the singing voice of Jack. The majority of the film's charm comes directly from Elfman's wondrous talent. The stop-motion animation also enhances the film's unique aesthetics and adds an additional layer to its ghoulish personality, especially that haunting moon sequence (just gorgeous!). Whether it be Sally sewing her detached limbs back on or the Mayor's head rapidly switching to different faces, there are plenty of frightening qualities that come across as endearing rather than harrowing. And that's all thanks to the simple yet effective story, spreading the magic and joy of Christmas. Unfortunately its short runtime does mean that the final ten minutes were wrapped up absurdly quickly, especially the underdeveloped villainous Oogie Boogie and undercooked romance between Jack and Sally. However for a film that was essentially impossible to market back in 1993 and may not have even been conceived, it is a damn fantastical animation that is sure to bring Christmas joy into the darkest of corners.